The Wagner HEA Control PRO 250R (plastic model mounted on stand) belongs to the High Efficiency Airless Control Series, HEA for short. 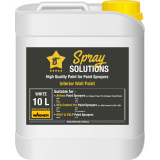 It is the successor to the Project Pro 117, the PowerPainter 60 and to a lesser extent the Airless Sprayer Plus. 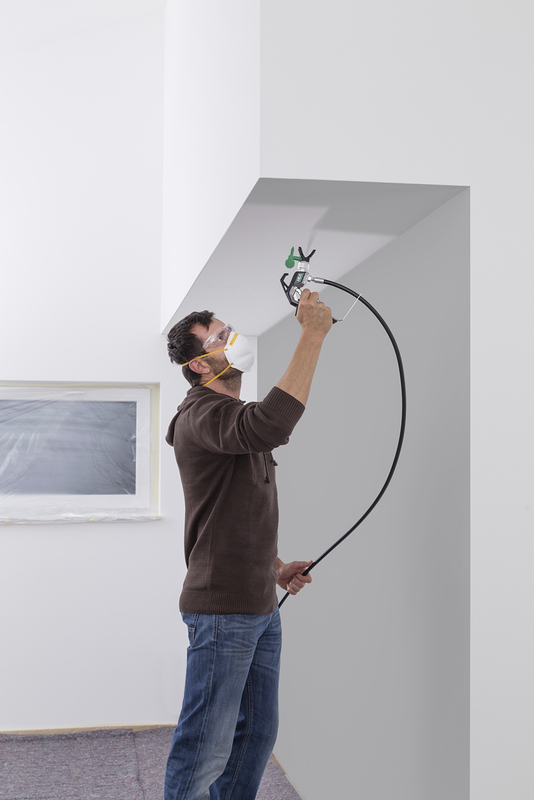 The Wagner HEA Control PRO 250R paint sprayer is one of the three compact HEA variants mounted on a stand. This plastic model is easy to move around and lighter than its metal brother, the 250M. 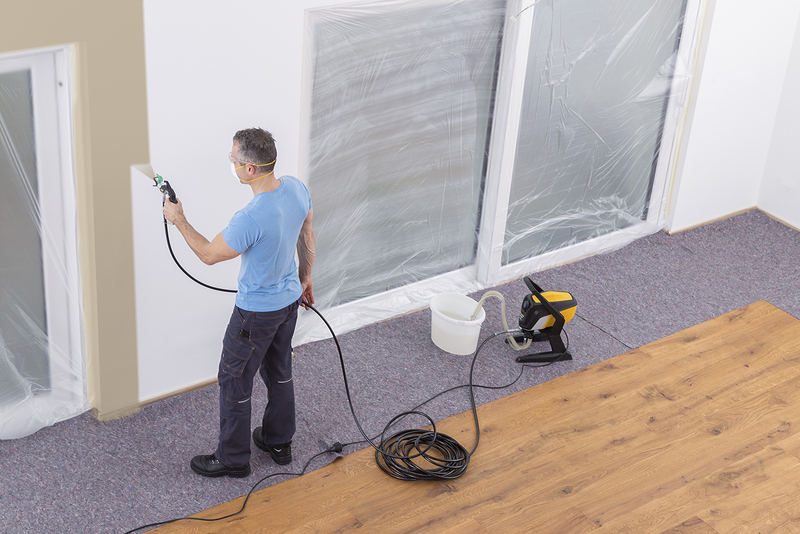 It is an ideal machine for consumers and DIY projects using standard paint stains and lacquers. 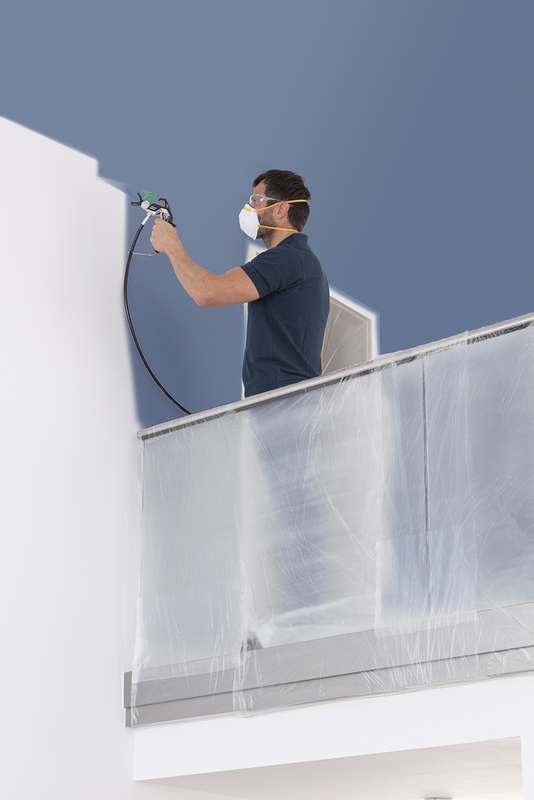 HEA (High Efficiency Airless) is Wagner's new Airless technology. The completely new HEA series is designed to replace Wagner's successful Project Pro and PowerPainter series. 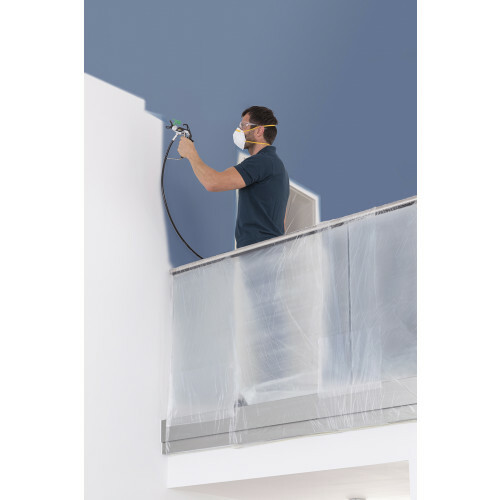 This new technology gives even better and fuller spray than Airless technology, currently the highest standard in the market. Thanks partly to the new technology, the machine can spray all the usual materials using less power, which makes it far more efficient than its predecessors. The Wagner HEA PRO 250R is the ideal partner for medium-sized projects, such as new builds or home renovations. 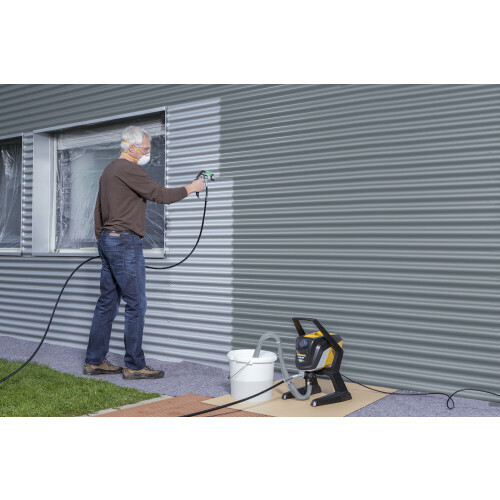 It is perfectly capable of spraying all current water- and solvent-based fluids and is specially developed for DIY, building managers and service providers who use spray painters on a regular basis. 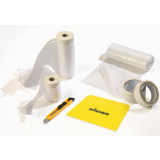 The model is handy to use, compact and easy to store. 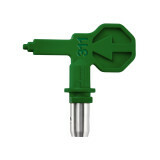 This paint sprayer has a plastic housing and is therefore lighter than the M variants. 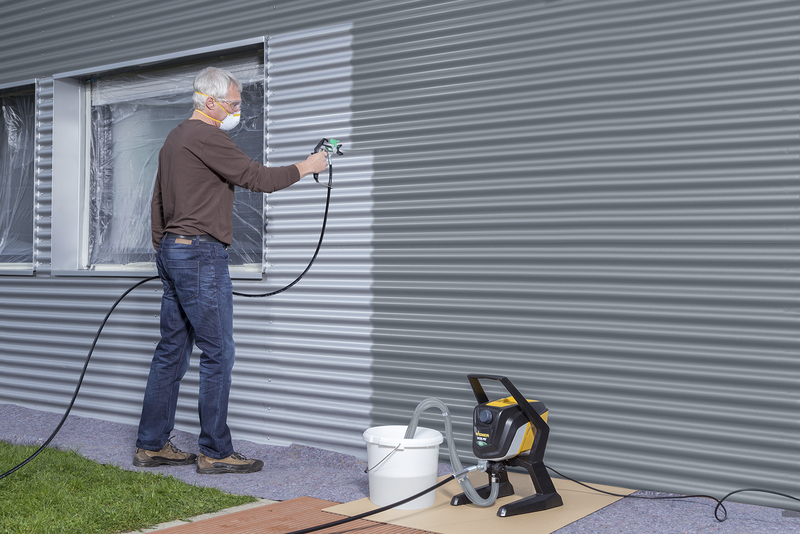 The flexible Wagner HEA PRO 250R can handle a most varied range of materials: From walls (including latex exteriors), ceilings, basements and garages, through woodworking and wood preservatives for log cabins, facade cladding or carports, to corrosion protection of steel beams. 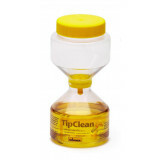 It can spray all common water-soluble and solvent-containing materials simply and professionally. 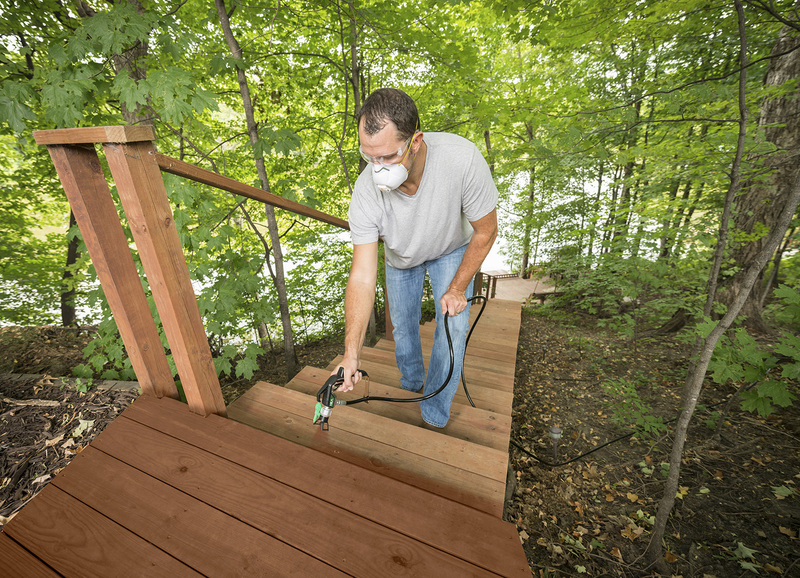 What is the difference between the HEA Control Pro 250 R and 350 R paint sprayers? Is the Wagner HEA Control Pro 250R delivered ready for use? 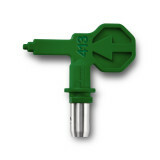 Spray pattern quality is the same for both the HEA Control Pro 250R and 350R. 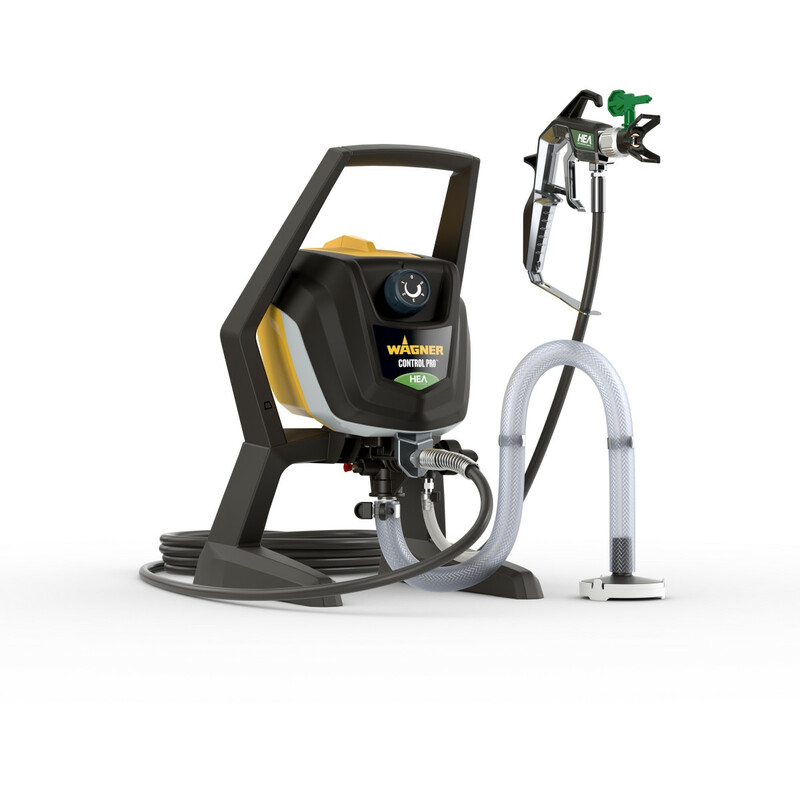 The hose of the HEA Control Pro 350 R is 15 meters long, compared to 9 meters for the HEA Control Pro 250 R. Spray output for the HEA Control Pro 350 R is 1.5 liters per minute and 1.25 liters per minute for the HEA Control Pro 250 R. Due to its greater capacity, the HEA Control Pro 350 R can handle fluids with more viscosity than the HEA Control Pro 250 R.
Yes, the HEA Control Pro 250 R is delivered fully ready for painting lacquers, latex, stains, etc.